According to Mo'Urban Dictionary, compiled by Aaron Peckham, Oneitis is "the dreaded ailment of liking that 'one special girl' and wanting her more than any other woman on earth. A want so intense that it's actually painful." That's all well and good, and I'm sure it's a real phenomenon, but I suffer from a different kind of Oneitis. Many authors do. Though I've finished multiple manuscripts over the years, I only have one book/short story published under each pen name. I've spent too much time promoting the same book with very little to show for it. 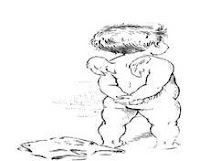 At one time, it was part of my plan to only publish short stories so I could continue to enter contests, but somewhere along the way, I figured out I'm not really a short story writer. Unfortunately, I'm hesitant to put my work out there myself, so I still have one manuscript on submission, and I'm hanging onto another until I finish at least one more in the series. So, this puts me in the awkward position of still suffering from Oneitis. Let's face it though, if an author is going to get noticed, the more books, the better the chance. Wallowing in a sad case of Oneitis is no longer an option for me. However, that is soon to be rectified. The medicine is coming fast. 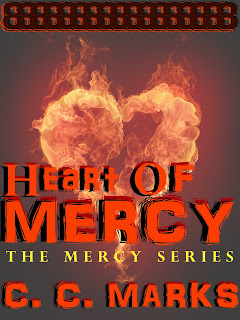 I'm about to publish the second in the Mercy series of books, titled, Heart of Mercy. It's in the final editing stages, and I will be purchasing a professional cover at the end of the month. However, I'll be putting it up with a temporary cover until then (the beaut at the top of this page). Charlie Little exists in a dangerous world. Her best chance of survival is to disguise herself as a boy and guard her secrets well. Yet just when it seems things couldn’t get worse, they spin completely out of control. With Zeke and her sister Star by her side and the fresh memory of Thomas’s kiss still on her lips, she narrowly escapes the horrid plans of Jonas Bannon, the self-proclaimed leader of the community, and begins the search for the city of Mercy, the one secure place she knows. However, as she struggles to reach her sanctuary, doubts creep in that anywhere is truly safe. If the Draghoul don’t get them, the human scavengers just might, and the protection of Mercy could be a costly lie for them all. I'll also be dropping the price of Edge of Mercy for a month, so hopefully some folks will take a chance on a new author, and I'll soon be cured of my Oneitis. To completely eradicate Oneitis from my writing career, I'll be releasing a series of novellas, beginning in August. And I can't wait to share those. Do you suffer from Oneitis? If so, what's your plan to move past it? Book #2 in the Mercy series. Cool can't wait. Hope it is soon. I really love reading about Charlie and Star.